The TBX3 gene has three known allele forms. 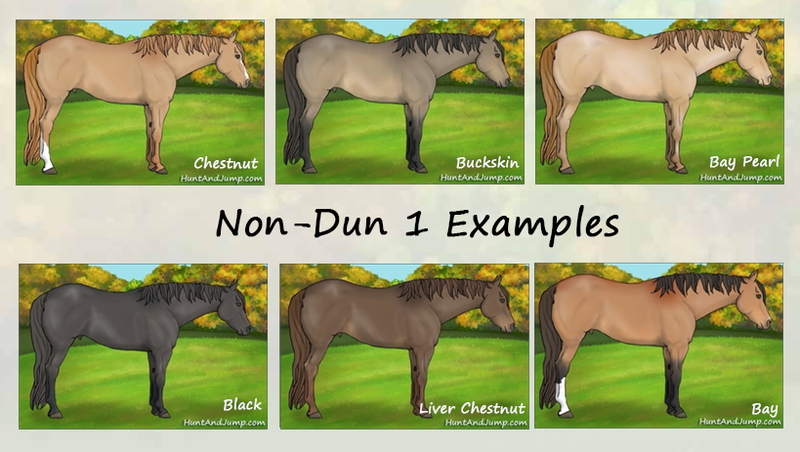 Dun (D) and Non-Dun 1 (nd1) are ancient forms of the gene and have been found in prehistoric wild horses. Dun is believed to be the oldest mutation with nd1 known to be at least 43,000 years old. Non-dun 2 (nd2) is a modern mutation that occurred in the nd1 gene. This new even coloration was so highly prized by ancient breeders that non-dun 2 horses came to dominate modern domestic horses. The dun allele changes where the pigment is most concentrated on the hair shaft. This causes some hairs to look much lighter than normal. All dun horses will have a clear dark stripe down the spine called a dorsal stripe. Duns will also have dark legs that may include horizontal stripes. Other markings that duns can have include darker faces, dark ear tips sometimes with a secondary stripe, darker marks on withers and a whole range of mottling and smokey markings. Dun can be difficult at times to detect and sometimes even experts can misidentify it. Nd1 horses have many of the characteristic markings of dun horses but are less diluted. 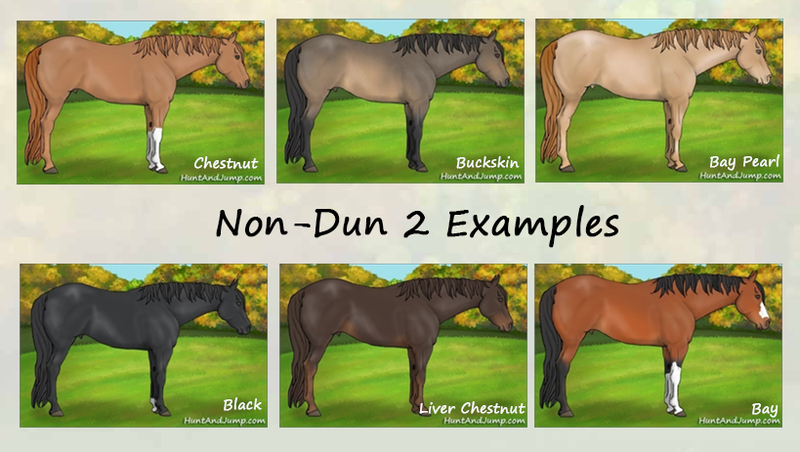 Nd2 horses have no dun like markings and have relatively even coat color. 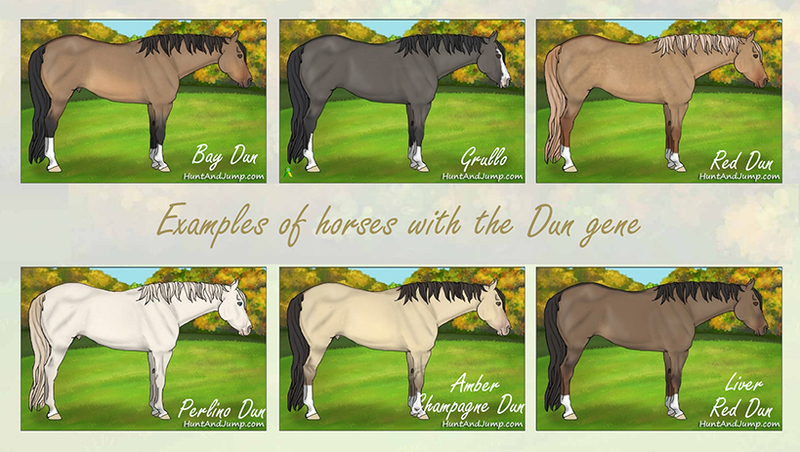 Dun is the most dominant, followed by nd1 and finally nd2 as the most recessive. T-box genes help control transcription factors (turning gene expression on and off) which regulate embryo development.